Hello dear artists. In the previous drawing lessons we drew Tommy Vercetti and Carl Johnson, the main characters of GTA Vice City and GTA San Andreas. 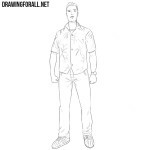 In today’s lesson we show you how to draw the main character of GTA 4. 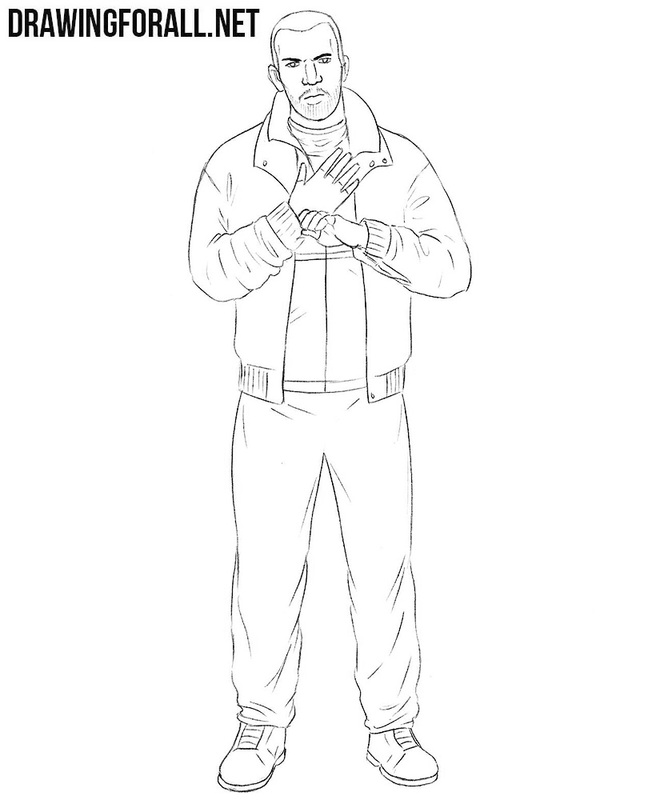 So, meet the lesson about how to draw Niko Bellic. So, all drawing lessons about people from the skeleton. Thus, we sketch out the head in the form of an oval. Next, outline the spine, chest and pelvis. 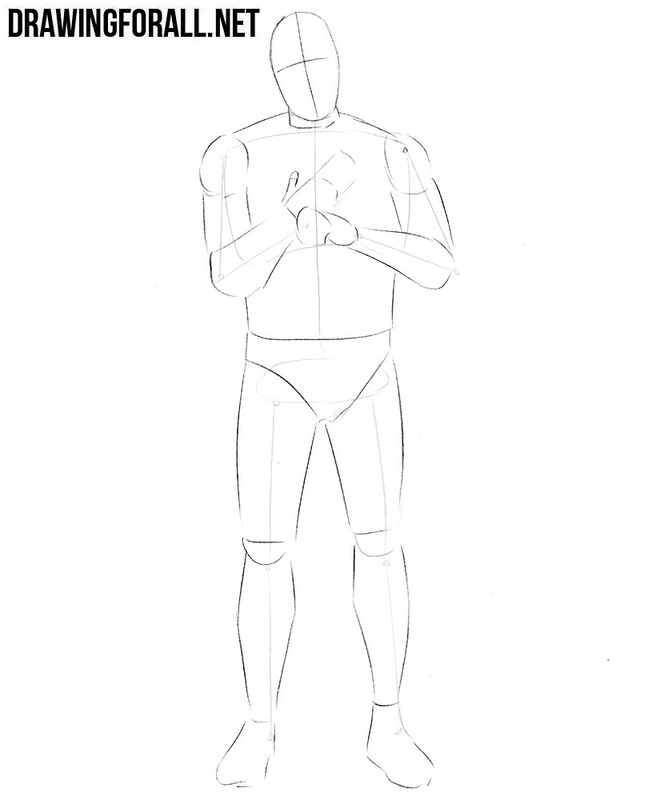 Draw out the arms and legs using simple lines. 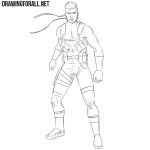 The first steps of drawing lessons we do with simple and very light lines, in order to erase them in the next steps. We have the skeleton of Niko Bellic and in this step we will add to it a little “flesh”. 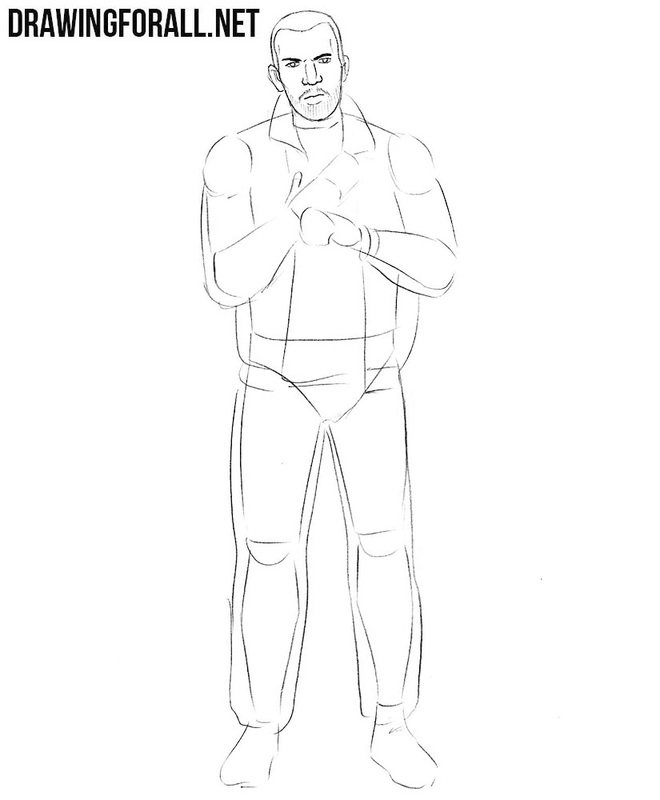 Now sketch out the neck and torso, which slightly narrows in the waist area. 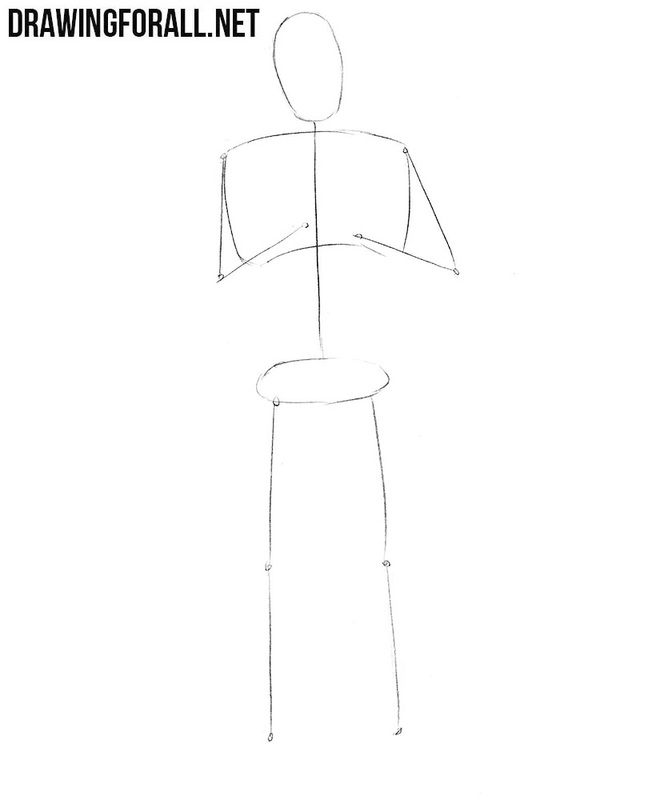 Next, using simple geometric figures sketch out the limbs orienting by the guidelines from the first step. 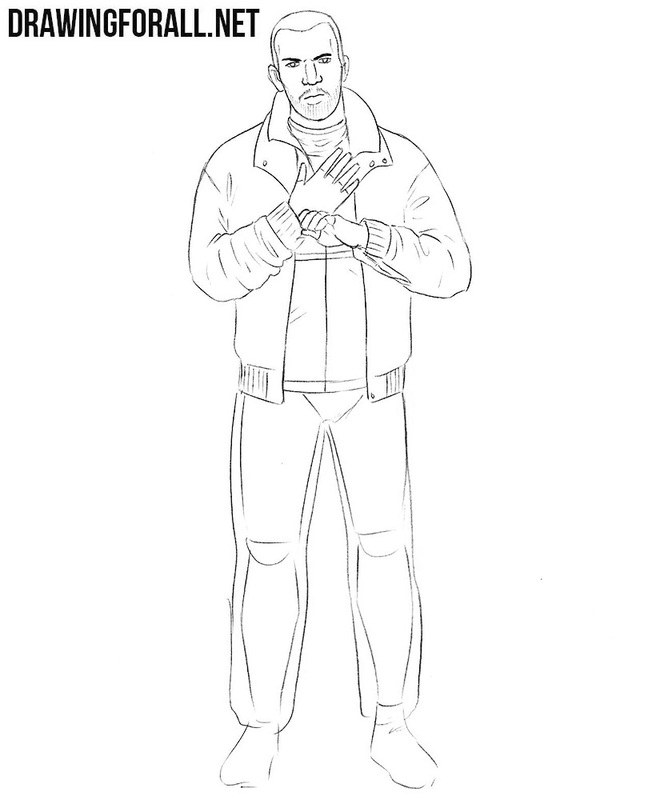 So far our character is similar to an dummy, in this step we will make it look more like Niko Bellic by adding details. Sketch out his hair and facial features with simple lines. Sketch out the well-known jacket and sports trousers of our character (in this clothing it will be easier for him to do slav squat). Let’s draw the face of our gloomy Niko. 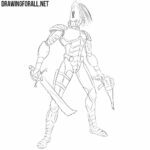 Draw out the short hair and outlines of the head. Next draw out the eyes, big ears and big potato nose. At the end of the step draw the mouth and add bristle. This step seems very difficult, but in fact it is not. Erasing all the unnecessary lines from the previous steps carefully draw out the contours of multilayered Niko’s clothing. Pay attention that we see on him a jacket, under which there is a track jacket and a turtleneck. 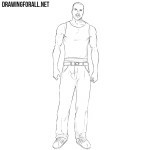 Using the same algorithms that in the previoep draw the sports pants of Niko Bellic. Do not forget to add all the folds as in our example. 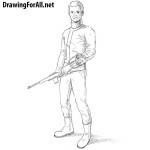 We have only to draw the boots (you can learn more about this in the lesson about how to draw boots). So, on our site now there are characters from GTA Vice City, San Andreas and GTA 4. What other characters do you want to see on our site? Write your wishes in the comments to this article and we will definitely do such a drawing lesson.